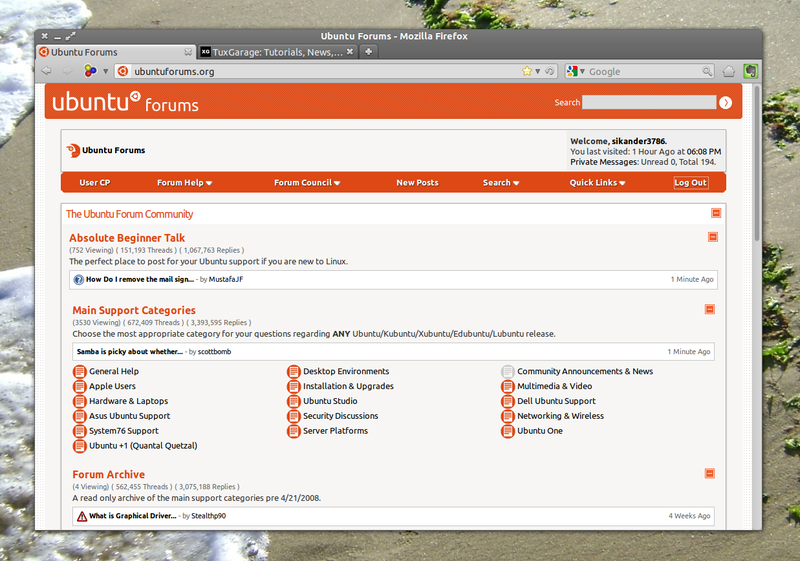 The overall theme and appearance of the official Ubuntu Forums was revamped recently to match the current Ubuntu branding. 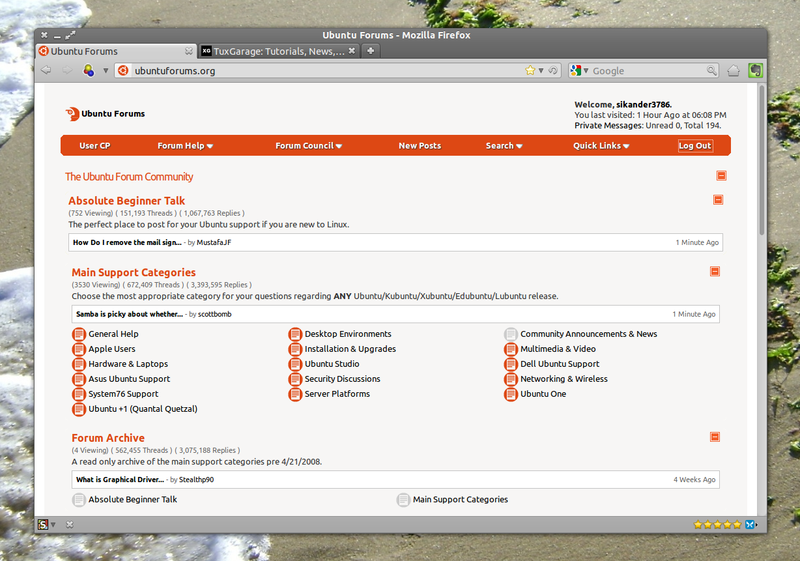 Now, it features quite a heavy, orange-coloured header, an orange-coloured navigation bar as well as orange-coloured buttons and an Ubuntu-branded element set. 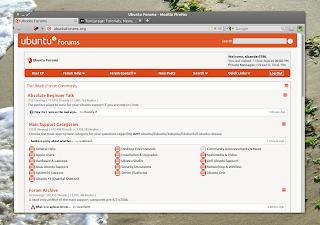 While there are many who are amazed by the new look of the Ubuntu Forums, there are quite a few who don't like this shiny, glowing and quite unfinished* look. 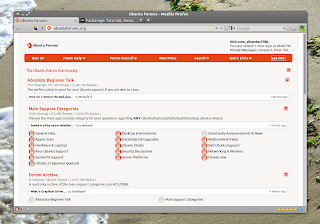 For the latter group, including myself and Krytarik, the 'Stylish' browser add-on is all that is needed to tweak the look of the Ubuntu Forums, or any other website as well, for that matter. 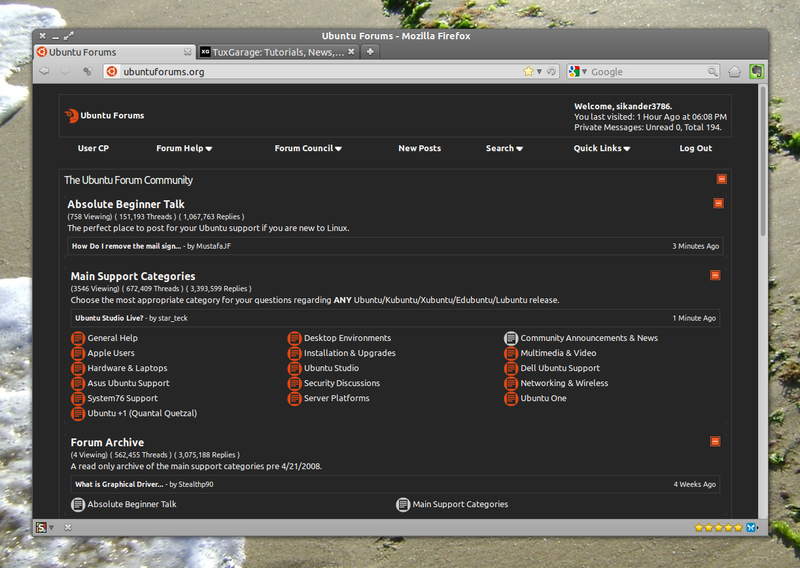 Krytarik has created two 'Stylish' styles for the Ubuntu Forums, a light one and a dark one. You can choose any of these and you can also edit the styles to match your liking. These instructions are basically targeted on Firefox, but you can adapt them to Chrome / Chromium by following the instructions below. You can change the name and tag of these styles to anything for your own convenience. 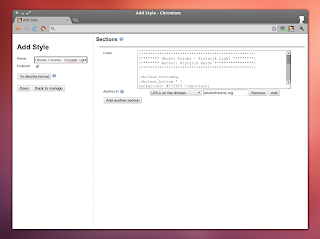 You can switch between these two, or any other styles, by clicking the 'Stylish' icon in the add-on bar, and you can also switch them off completely. If you want to adjust the background colour of the Dark style to your liking, for example, to make it a bit lighter, change the settings in the first block of its code. Install the 'Stylish' extension for Chrome / Chromium. Spare the blue-marked lines at the beginning and the end of the styles' code. Set the 'Applies to' setting of the styles to 'URLs on the domain' and 'ubuntuforums.org' as shown in the screenshot below. 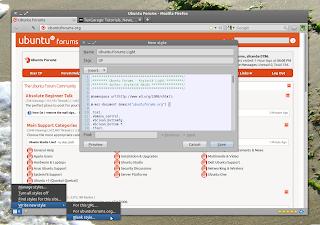 3/7/2013: If you are looking for a way to vastly improve the look of the new Ubuntu Forums setup, introduced with the switch to vBulletin 4 last week, I've just created a new style for that, just handle it according to the instructions above. P.S. 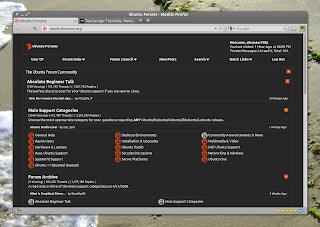 : I want to mention that this time, the people in charge of the administration/design of the Ubuntu Forums know of my work and have got copies of it - what they do with it, is up to them, obviously.